Bother is a progressive rock/metal band from Charlotte, North Carolina. 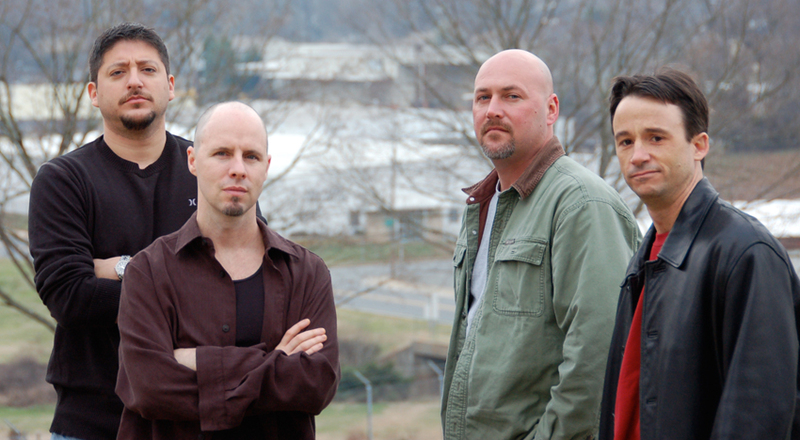 Having originally formed in the mid 90’s, Bother won praise from critics locally and regionally with its 2nd demo release LOSING TIME, and stirred up whisperings in the progressive metal community, all while wading through a series of personnel changes that made it impossible to record a full length album. Immediately after recording a 3rd demo, Bother broke up in the early summer of 2000. In April of 2001, the loss of a dear friend and important musical mentor to a motorcycle accident left lead vocalist Sean McKnight in a state of denial with a profound loss of direction, where writing music only led toward deep and powerful memories, and painful reminders of an incredible personal tragedy. David Staples continued writing music over the next few years and eventually convinced old band-mate Sean McKnight to join him, and they, along with long-time friend Trey Hicks founded the band “jolie”, a jazz/rock based, emo-alt experiment. The involvement of former bass player Matt Zawila as a studio musician on several songs for jolie provoked remembrances of a heavier past, and though happy with this project, David felt an undeniable desire to return to his progressive metal roots. In late 2007 David convened with former band-mate Luis Castrillon and the two other original founding members of Bother to discuss this very thing. “The Plan” was to write a full length CD with the intention of recording only high-quality songs, an album that an audience could enjoy listening to front to back. BOTHERED is the culmination of this effort.